Have you ever noticed that the desks in your office form a cubicle version of Rome's Circus Maximus? And since battling lions and gladiators to determine who gets the last donut was phased out before you joined the company, perhaps a winner-takes-all chariot race is more appropriate? 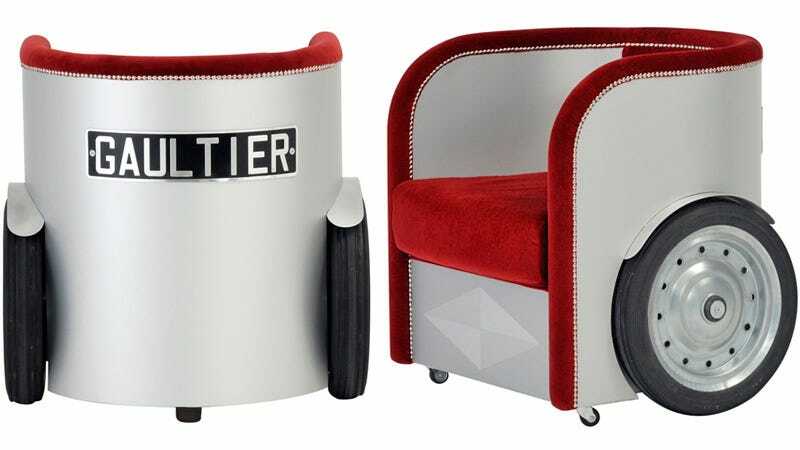 They might not look like the most comfortable place to sit and work at all day, but these fantastic Ben Hur chariot chairs would serve just fine in a waiting room. On race day you'd need to find some way to safely harness up an intern, and specifics about what manner of office weaponry were permitted would have to be banged out ahead of time. But nothing would make a donut sweeter than the added taste of victory.